Last month was an action packed month for me. I had a few events going on and lots of work to get done. We had a really cool presentation on load testing using JMeter and Xdebug by Brian DeShong. Load testing and profiling are very important to help identify possible bottlenecks in your application/server before reaching a breaking point. JMeter allows a user to setup different scenarios to run with varying loads (number of users, ramp up time). It’s pretty fancy with all the options you can do such as submit variables to pages to simulate login ins to an application and tracking sessions. Xdebug lets us analyze logs to see what was going on in your application to easily spot which part of the execution process took the most amount of time. At that point, you can look at your code to see how to improve that particular process. At work we have an outside firm doing our testing/load testing so it was nice learning about JMeter so eventually we can start doing some of our own load tests for things we need done asap. I currently use Zend Studio’s profiler to profile my applications so I probably won’t be using Xdebug any time soon. I asked around our local user group what conference they would recommend if they could only attend one PHP conference and this was the one I heard the most good things about. This was my first time attending a PHP conference and it was WELL worth it. The sessions were great with three tracks daily to choose from. The conference was small enough where you could spend time with the presenters interacting and asking questions. I met a bunch of new people which made the whole experience that much better. There was always something to do during presentations as well as after hours. This is the web site for TEX-K if you want more info or want to take a look at the schedule. Some of my favorite were the two Flex sessions by Keith Casey since I want to start doing more Flex and the Lost Art of Simplicty by Josh Holmes was interesting as well. It was really nice having a bunch of Adobe and Microsoft people there. They were all great and helpful. We had been having some server hiccups at work and the guys at Microsoft were extremely helpful in trying to help us figure things out. We also learned from various people (both the MS and PHP crowd) that we (at work) should start using IIS instead of Apache for Windows. Microsoft has been spending resources in working with the PHP team to make sure things run smoother with PHP on IIS for Windows than before. Two thumbs up for Microsoft and Adobe for being there and supporting the community (and for the drinks and dinners :p) . I’ll definitely try to go next year again. I took a one day-8 hour course on using Flash Builder and wow… I’m sold. After working on Flash for so many years, Flex is just too amazing to ignore. The class was taught by Adobe certified Jeanette Stallons and it was a small class which was great for us since we could get a lot more time for questions and one on one time. She did a great job keeping our attention and was very easy to follow. This was a hands on class so we each had our own computer to work the examples with. The class started with us learning about the different Adobe applications, the difference between Flash/Flex, and reasoning behind changing the name Flex builder to Flash builder. Then we went through the basics of the IDE and how to setup a project and what the different folders and files are for. Next is when things got fun. We started creating an application that communicates with the database through PHP. We did all the code manually to better appreciate the last lesson which was creating the exact same application in an automated fashion with literally only a few lines of code at most. That was the coolest part of this class, how easy it is to use the wizards (that actually spit out good code!) to be able to just click and drag and have everything working correctly in such a short amount of time. I already downloaded the two month trial from the Adobe’s site and have been playing around with Flash Builder at work and at home. A few years ago I wrote an application that heavily uses the Google Adwords API. It worked without me touching it for years until recently Google changed their Adwords API and my app completely stopped working. This was my fault of course since many months ago Google emailed me letting me know this was going to happen but at the time I figured there wouldn’t be much difference between both versions so I didn’t pay much attention to it… boy was I wrong. The new API v2009 is very different since you call things differently now and many of the old services I was using no longer exist in the new version. I spent some time trying to rework my code to use the new calls but that was not working well for me. It just seemed as if I was wasting time instead of just starting over with a clean rewrite. Fortunately for me, after doing some research, I found that Google had already created a client library for PHP that already did all the heavy lifting code to interact with the services. I downloaded the library, ran a couple tests and everything was working perfectly. All I had to do was rewrite the application using the client library and everything is running smoothly again. Not much to mention here other than it was my birthday last month as well so had dinners with parents and drinks with friends. 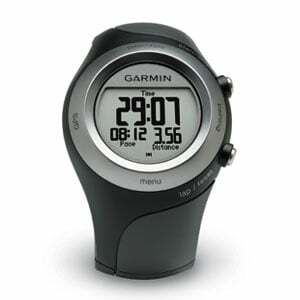 I have been running a lot lately so I bought myself a nice new watch with my birthday money: Garmin 405. I saw this watch on sale on slickdeals.net for under $200 and I couldn’t resist. I’ve used it a couple times already and it’s great. The GPS seems to be working flawlessly for me so far and all the features it brings are neat to play with. My biggest sellers were: GPS to track my distance and pace and the heart rate monitor. Peachtree Road Race, here I come!